VLC media player is a open source player.VLC have the lot of the user comfortable option. 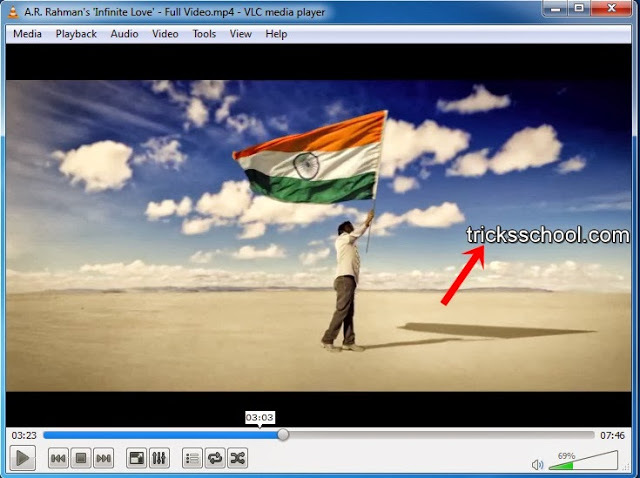 Today I will say how to add the text in the video in VLC player. Text will appeared on the video. It’s like you will add the copy right words will be add on the video using this tricks. 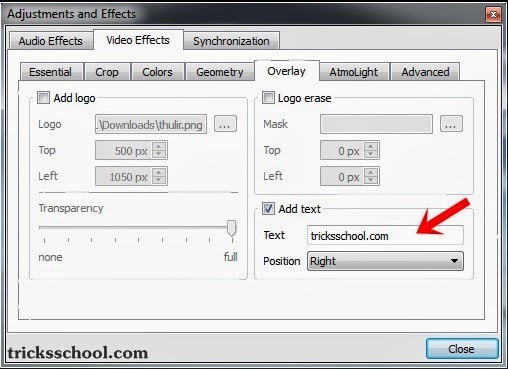 Its very simple open the VLC Player and go to tools option and click. Drop Down menu will open in that select Effects and Filters or press ctrl + e to open the Effect and Filters window. After open the Effect and Filters Select the Video Effects option. After select the Video Effect option in the Video Effect select Overlay Option.